Serif’s Affinity Publisher is now available to download, at least in its initial beta form, so you can grab this early version and give it a try for free. 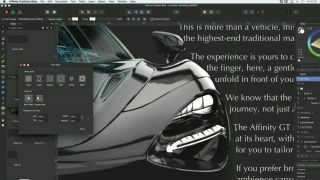 And that could be a worthwhile exercise if you’re looking for something different in terms of a desktop publishing app, or perhaps an alternative to InDesign, the heavyweight offering from Adobe. You can bag the application for either Windows or macOS direct from Serif here. The company observes that there’s still a fair bit of work to do on the product, and it’s very much a beta, so there will be wonky bits, and you can expect bugs and crashes. In other words, don’t use Affinity Publisher for any serious work at this point, or you may end up tearing your hair out. It’s more a case of getting a feel for the app, and of course letting Serif know about any flaws, and feeding back potential improvements or requested features. The full release of Affinity Publisher is still a few months away, by all accounts, at which point Serif will ensure the software is fully integrated with its other Adobe alternatives: Affinity Photo and Affinity Designer. The company will then have a full trio of offerings with which to battle its big-name competitor. The cost of Publisher is as yet unconfirmed, but seeing as the other two apps are priced at £48.99 (around $64, AU$87), you’d expect to be looking at that (and of course that’s a one-off fee rather than a subscription model, which will doubtless be a major attraction for a good number of folks).